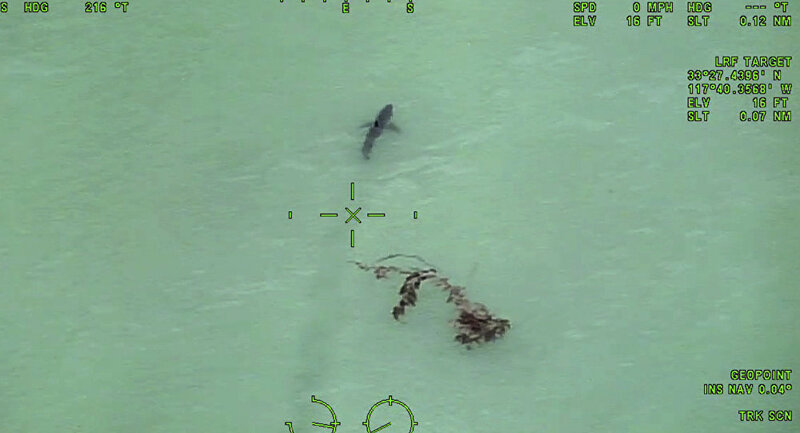 "You are paddle-boarding next to approximately 15 great white sharks," called the deputy. "They are advising you exit the water in a calm manner. The sharks are as close as the surfline." The deputy spoke true. The sharks were gliding around the paddleboarders, their fins calving and receding back beneath the clear water. From their size, they appeared to be juveniles, six to eight feet long. Stockbridge said that the people in the water "complied immediately" and returned to shore without incident. Nobody was hurt, and lifeguard chief Jason Young said that the situation wasn't serious enough to call for an ocean closure. That's only done if the shark is more than eight feet long or acting aggressively. "We haven't had any reports of anyone being bumped or charged, just observations of them either swimming or breaching," he told the Orange County Register. There was no danger, said marine biologist Chris Lowe with California State University to Live Science. These "toddler" sharks were only hanging out close to the shore because it's safe and there is a plentiful supply of stingrays, great whites' favorite food. But while the great whites have been pretty placid, they've also been unusually active close to the shore. "What's different is that we're seeing multiple pockets of these sharks at known hotspot beaches," said Lowe. "And it's odd to see them this early. Normally, it's in July or August. To see that many groups simultaneously this early in the season is a little different." 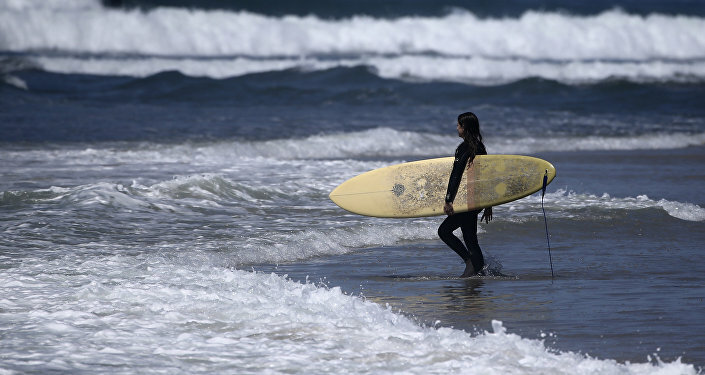 Southern California authorities were on high alert for shark attacks this week after an April 29 incident in which a woman lost a large chunk of her leg to a sharkbite at San Onofre State Beach, fewer than 10 miles away from Dana Point. It isn't totally clear why great white sharks have upped their numbers in California this season. 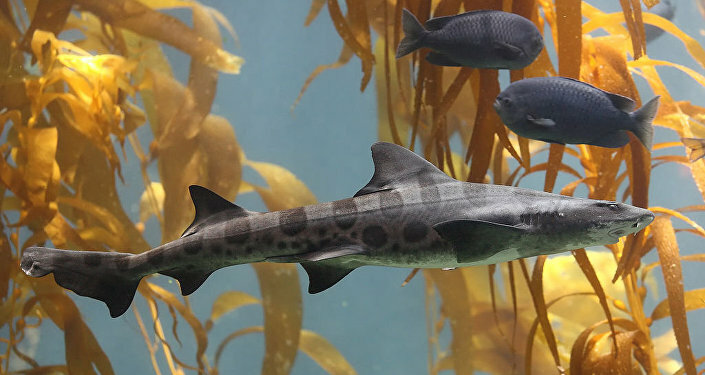 One theory is that the ocean water is particularly warm this year as a result of the Pacific El Niño event, which attracts tourists and sharks alike. Another reason for the booming great white population could be that they have become a protected species. "The reason why I think we're seeing more sharks is because we've protected them. They've been protected in U.S. waters since 2005," said Lowe. "The other thing is, there's lots of food. So along our beaches, the sting ray populations have been kind of exploding over the last 50 years." While shark sightings along the San Diego coast during breeding season are quite common, actual attacks are rare and fatalities even rarer. There were 53 shark attacks in the US in 2016 (none of which were fatal). Of those 53, four occurred in California. Stingrays, meanwhile, are much more dangerous to humans. In August 2016, 127 people were injured by stingray attacks on a single California beach. Since sharks are the natural enemy of stingrays, Lowe says the presence of these great whites may actually make the beach safer for humans.